Having a chance to visit 6 different restaurants serving all different types of cuisines in 1 dinner really a tiring one to handle. We were lucky to have Vintry as the last one to visit as they were famous for their finger food that goes along with their wines and beers. The place were having a very cozy ambiance and relaxing environment without the usual pub heart throbbing musics. You can sit here all night to chill out after work. A wide variety of vintage and young wines from multi country are there awaiting for you. One of the vintage wine available here. The famous Chateau Leoville Poyferre from Saint Julien Province in France. Due to too many food tasting in one night, I opt for a cool glass of beer instead to wash everything down. Next round when I am visiting Vintry again, I definitely will checkout their wine machines which serve wines at its best condition and temperature. You can try all sorts of wine at a very affordable price with this machine via the prepaid card. With all the great booze, the finger food must be good to pair with the drinks. 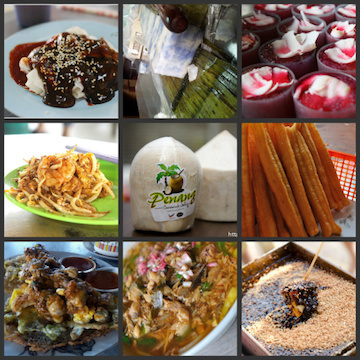 For this Merdeka Food Crawl promo period, a few featured items will be having a 20% discount off. The owner’s mom secret recipe home made roast pork. Crispy skins with a perfect cut on the lean meat and fat portion. A must to order here. Crispy Sliced pork belly marinated with an intense bean curd sauce (Nam Yue) fried to perfection. Signature savoury noodle, wok fried with caramelized roast pork. 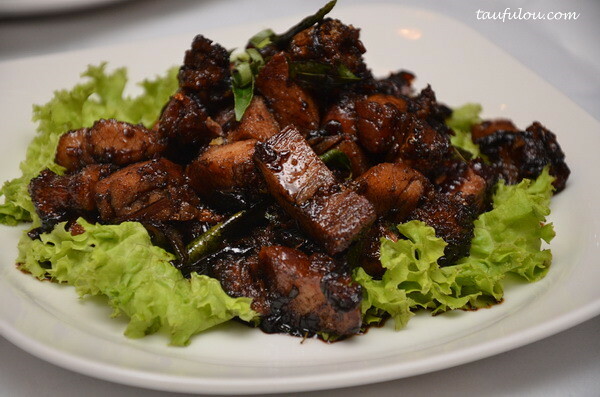 You can order the spicy caramelized roast pork on ala carte at RM18.00. The discount applied for this dish too. The Spicy Caramelized Roast Pork were actually Vintry’s house specialty where the roast pork were wok fried with superior soya sauce and chili padi then caramelized with sugar at the final stage. Lips smacking! Home made pork patty burger topped with a piquant blue cheese sauce and fried pork bacon strips. The patty were juicy and the blue cheese make it taste better. Great pictures! Dine there once a few years ago, a good experience.